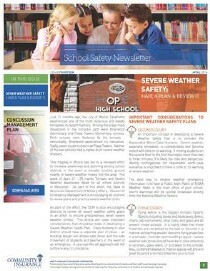 The April 2014 issue of Community Insurance Corporation's School Safety Newsletter focuses on severe weather safety. 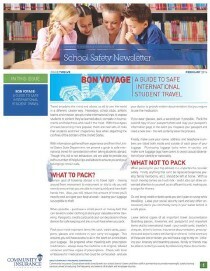 The latest issue of Community Insurance Corporation's School Safety Newsletter focuses in on keeping students safe during international travel. 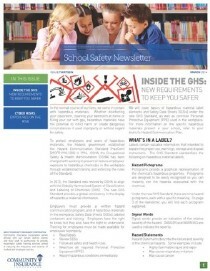 The January 2014 issue of Community Insurance Corporation's School Safety Newsletter addresses bloodborne pathogens and discusses what they are and how to avoid dangerous situations. 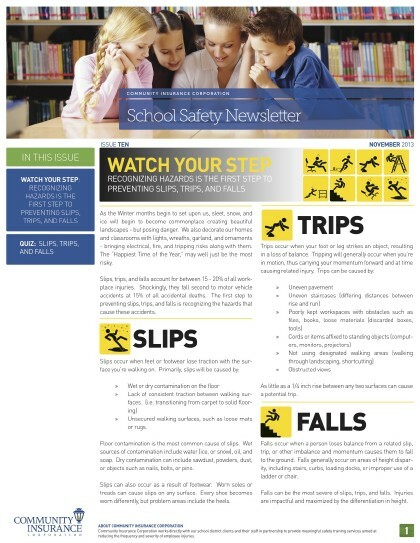 Read the November 2013 School Safety Newsletter here, which focuses on preventing slips, trips and falls in your school. October 2013 School Safety Newsletter: Lightening Up Backpacks! 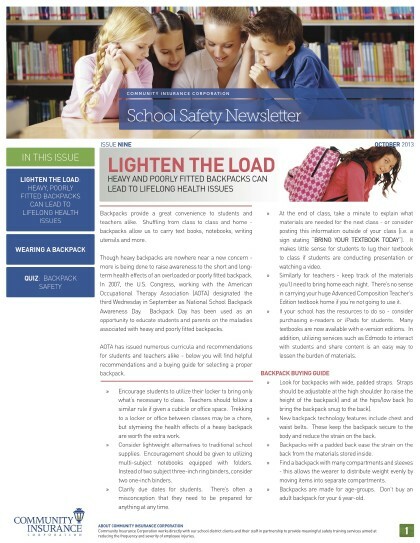 The October 2013 isue of Community Insurance Corporation's School Safety Newsletter highlights how we can "Lighten the Load" when it comes to kids' backpacks. 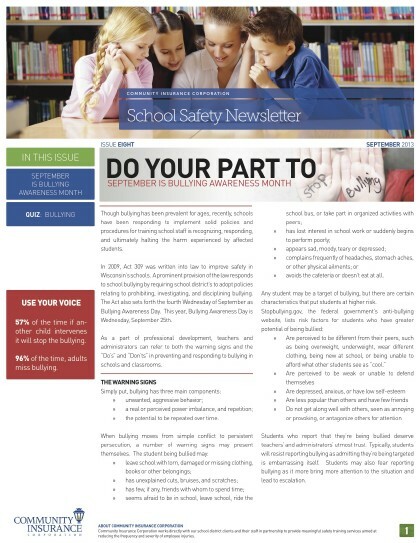 September is National Bullying Awareness month and we here at Community Insurance Corporation remained committed to stopping bullying behaviors in our schools. 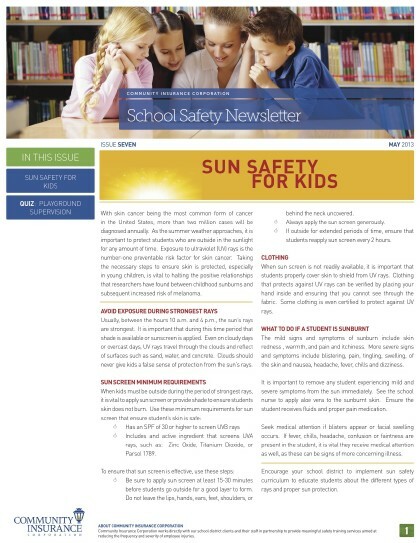 Community Insurance Corporation's May 2013 School Safety Newsletter highlights sun safety for kids and what you can do to keep them protected. 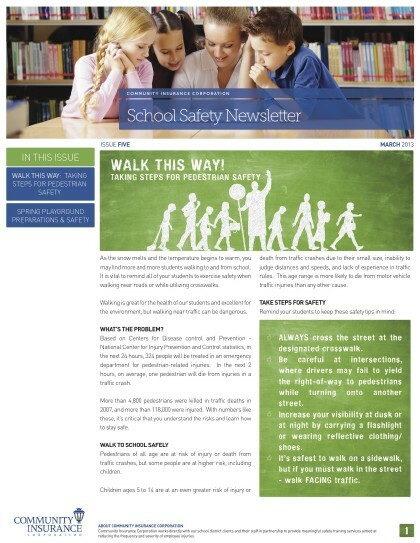 Read the March 2013 School Safety Newsletter, which focuses on safe walking as pedestrians.